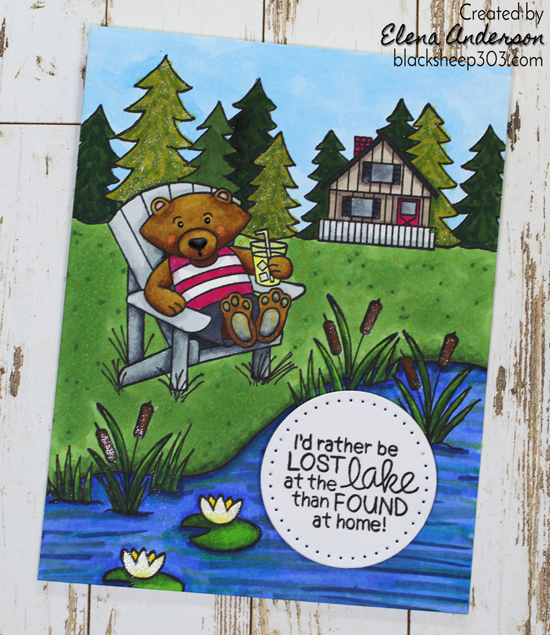 Design Team member Ellen Haxelmans picked this beautiful lake scene card by Elena. This card uses our Winston's Lake House Stamp Set stamp set. 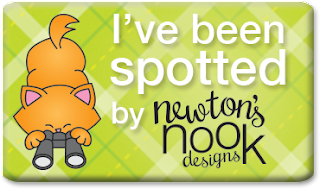 "As a scene maker I admire this card so much! It's perfectly made. If you didn't notice Elena also dared to hand draw some elements on the card too. It really makes the scene complete! " Design Team member Lairssa Heskett picked this gorgeous card by Darcy Webb. This card uses our Candy Corn Stamp Set stamp set. "I was DRAWN to this Card 1st because Candy Corn are my FAVORITE!! 2nd I LOVE the FUN background she created and how she framed that AWESOME punny sentiment!! 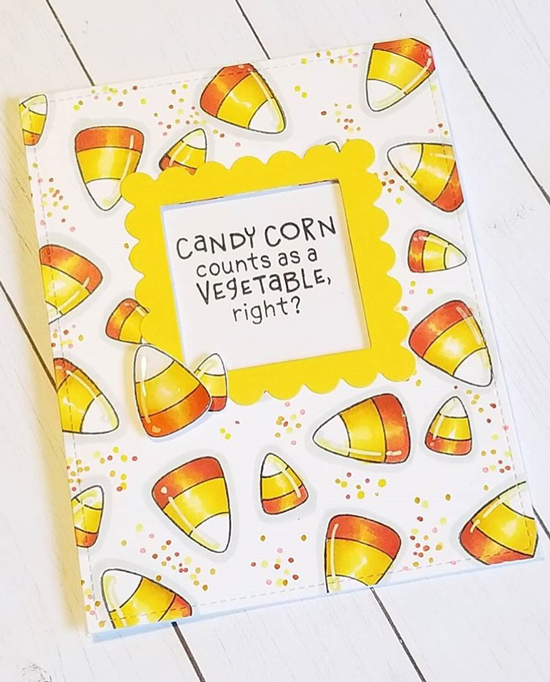 Such AMAZING Coloring and Dimension really makes the Candy Corn the STAR of this Card Design!! Is it just me, or who's CRAVING some Candy Corn now!!??" Wow! I love both cards! It's so fun to see these cards! The candy corn card is sooooo cute. The dots of color are what separates this from a cute card to a sooooo cute card. Will be copying this idea! !